This tutorial will help you configure MPG pendant related settings in PlanetCNC TNG software. Enables use of encoder for purposes of jogging when using MPG pendant(used with Mk3 MPG adapter) or standalone encoder. For more info regarding controllers encoder inputs please read Mk3 and Mk3/4 controller user manual. Enter PPR value (parts per revolution) of your MPG encoder. Usually around 100PPR. Reverses direction of jogging when MPG encoder is used for jogging. 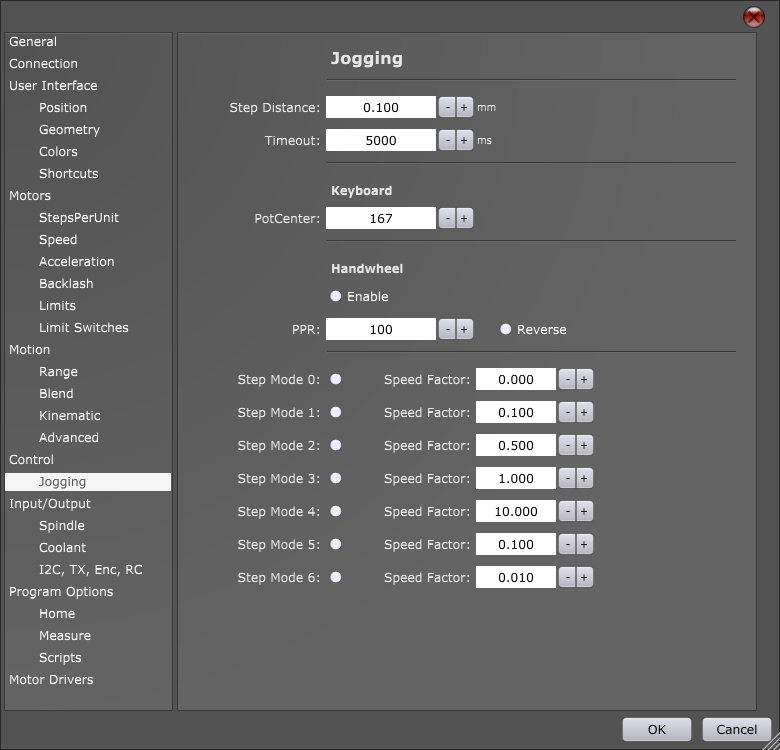 You can configure seven modes of jogging when using MPG pendant with PlanetCNC TNG. To select between modes you use MPG hardware switch(x1, x10, x100). 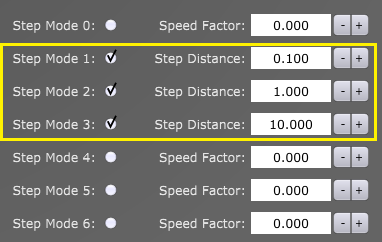 Each step mode can be configured either as Speed Factor or as Step Distance. 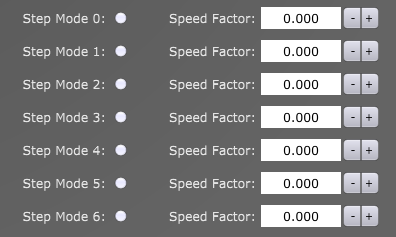 If radio button is left unchecked Speed Factor mode will be used, if you enable radio button , Step Distance mode will be used. Encoder wheel will be translated into motion using Speed Factor value. Inserted value is speed factor which can behave as prescaler or multiplication of MPG encoder wheel rotation. 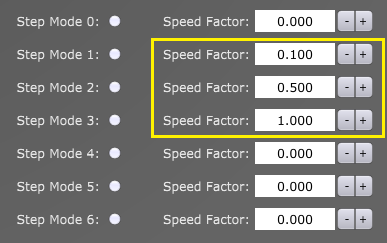 For example, Speed Factor of value 0.1 is used when you need fine tuning of axis motion. Rotation of encoder will jog machine for distance that is set with Step Distance. With PlanetCNC MPG pendant hardware switch you can select only between Step Mode 1, Step Mode 2 and Step Mode 3. So when you are using using PlanetCNC MPG pendant, configure only Step Modes 1,2 and 3.